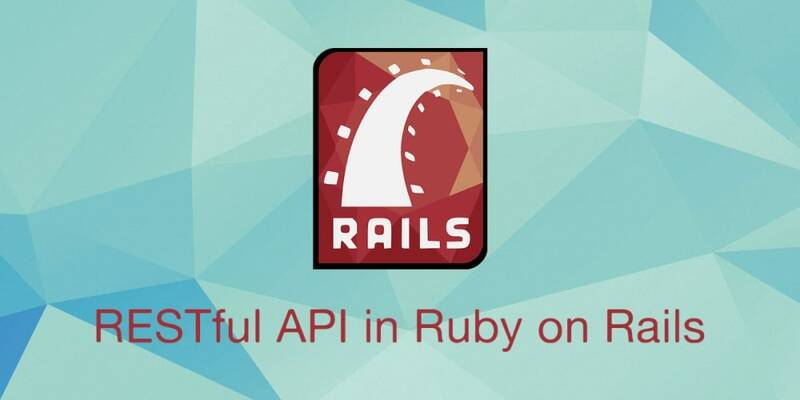 Rails is popularly known for building web applications. Chances are if you&apos;re reading this you&apos;ve built a traditional server-rendered web application with Rails before. If not, I&apos;d highly recommend going through the Getting Started with Rails page to familiarize yourself with the Rails framework before proceeding with this tutorial. As of version 5, Rails core now supports API only applications! In previous versions, we relied on an external gem: rails-api which has since been merged to core rails. This works to generate an API-centric framework excluding functionality that would otherwise be unused and unnecessary. In this three-part tutorial, we&apos;ll build a todo list API where users can manage their to-do lists and todo items. Before we begin, make sure you have ruby version >=2.2.2 and rails version 5. If your ruby version is not up to date, you can update it with a ruby version manager like rvm or rbenv. All good? Let&apos;s get started! Our API will expose the following RESTful endpoints. Note that we&apos;re using the --api argument to tell Rails that we want an API application and -T to exclude Minitest the default testing framework. Don&apos;t freak out, we&apos;re going to write tests. We&apos;ll be using RSpec instead to test our API. I find RSpec to be more expressive and easier to start with as compared to Minitest. Let&apos;s take a moment to review the gems that we&apos;ll be using. factory_bot_rails - A fixtures replacement with a more straightforward syntax. You&apos;ll see. shoulda_matchers - Provides RSpec with additional matchers. database_cleaner - You guessed it! It literally cleans our test database to ensure a clean state in each test suite. faker - A library for generating fake data. We&apos;ll use this to generate test data. Add rspec-rails to both the :development and :test groups. This is a handy shorthand to include a gem in multiple environments. Add factory_bot_rails, shoulda_matchers, faker and database_cleaner to the :test group. Initialize the spec directory (where our tests will reside). Create a factories directory (factory bot uses this as the default directory). This is where we&apos;ll define the model factories. # start by truncating all the tables but then use the faster transaction strategy the rest of the time. Phew! That was a rather long. Good thing is, it&apos;s a smooth ride from here on out. Notice that we&apos;ve included the model attributes in the model generation command. This way we don&apos;t have to edit the migration file. The generator invokes active record and rspec to generate the migration, model, and spec respectively. Looks good? Let&apos;s run the migrations. We&apos;re Test Driven, let&apos;s write the model specs first. RSpec has a very expressive DSL (Domain Specific Language). You can almost read the tests like a paragraph. Remember our shoulda matchers gem? It provides RSpec with the nifty association and validation matchers above. And to no surprise, we have only one test passing and four failures. Let&apos;s go ahead and fix the failures. Now that our models are all setup, let&apos;s generate the controllers. You guessed it! Tests first... with a slight twist. Generating controllers by default generates controller specs. However, we won&apos;t be writing any controller specs. We&apos;re going to write request specs instead. Request specs are designed to drive behavior through the full stack, including routing. This means they can hit the applications&apos; HTTP endpoints as opposed to controller specs which call methods directly. Since we&apos;re building an API application, this is exactly the kind of behavior we want from our tests. According to RSpec, the official recommendation of the Rails team and the RSpec core team is to write request specs instead. Add a requests folder to the spec directory with the corresponding spec files. Before we define the request specs, Let&apos;s add the model factories which will provide the test data. By wrapping faker methods in a block, we ensure that faker generates dynamic data every time the factory is invoked. This way, we always have unique data. We start by populating the database with a list of 10 todo records (thanks to factory bot). We also have a custom helper method json which parses the JSON response to a Ruby Hash which is easier to work with in our tests. Let&apos;s define it in spec/support/request_spec_helper. The support directory is not autoloaded by default. To enable this, open the rails helper and comment out the support directory auto-loading and then include it as shared module for all request specs in the RSpec configuration block. We get failing routing errors. This is because we haven&apos;t defined the routes yet. Go ahead and define them in config/routes.rb. When we run the tests we see that the routing error is gone. As expected we have controller failures. Let&apos;s go ahead and define the controller methods. json_response which does... yes, responds with JSON and an HTTP status code (200 by default). We can define this method in concerns folder. set_todo - callback method to find a todo by id. In the case where the record does not exist, ActiveRecord will throw an exception ActiveRecord::RecordNotFound. We&apos;ll rescue from this exception and return a 404 message. In our create method in the TodosController, note that we&apos;re using create! instead of create. This way, the model will raise an exception ActiveRecord::RecordInvalid. This way, we can avoid deep nested if statements in the controller. Thus, we rescue from this exception in the ExceptionHandler module. However, our controller classes don&apos;t know about these helpers yet. Let&apos;s fix that by including these modules in the application controller. Run the tests and everything&apos;s all green! Let&apos;s fire up the server for some good old manual testing. Now let&apos;s go ahead and make requests to the API. I&apos;ll be using httpie as my HTTP client. You should see similar output. As expected, running the tests at this point should output failing todo item tests. Let&apos;s define the todo items controller. Setup RSpec testing framework with Factory Bot, Database Cleaner, Shoulda Matchers and Faker. Build models and controllers with TDD (Test Driven Development). Make HTTP requests to an API with httpie. In the next part, we&apos;ll cover authentication with JWT, pagination, and API versioning. Hope to see you there. Cheers!